Pink Glow Of Sunset On An Alaskan Beach In Winter With A Flying.. Stock Photo, Picture And Royalty Free Image. Image 11980697. 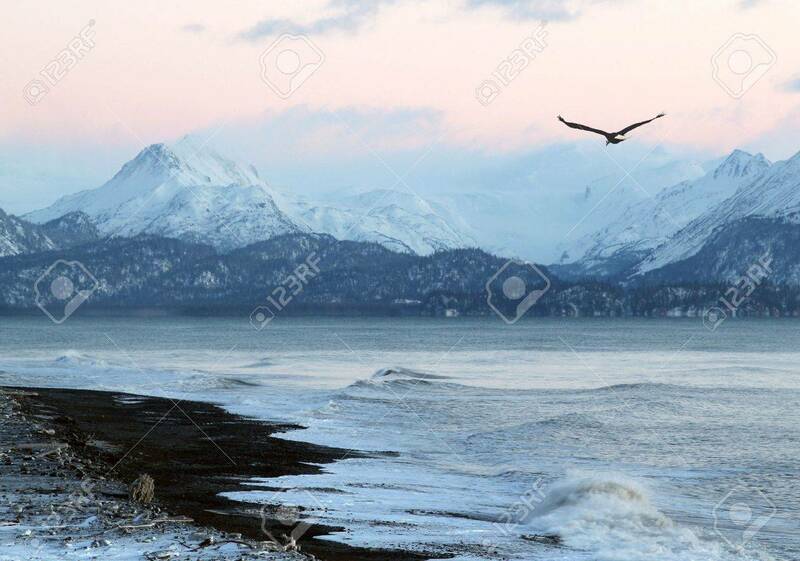 Stock Photo - Pink glow of sunset on an Alaskan beach in winter with a flying eagle and mountains in the background. Pink glow of sunset on an Alaskan beach in winter with a flying eagle and mountains in the background.